Note: for non blueprint projects that already have source skip to step 4, also you can clone the repository instead of downloading a zip file if you wish. 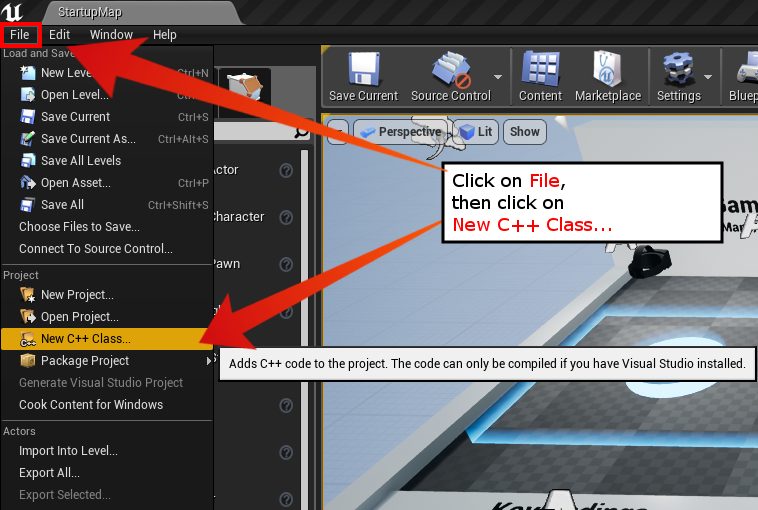 This how-to was verified to work with UE4 engine version 4.15 on Windows 7 and 10. It'll walk you through the process of determining your project version and getting the right plugin working for it. If you're not using the pre-built plugin, you will have to build/compile the plugin yourself. And to do that you will need to install Visual Studio 2015/2017 and set it up for UE4. If you are working off of the Example Template then skip to step 10! 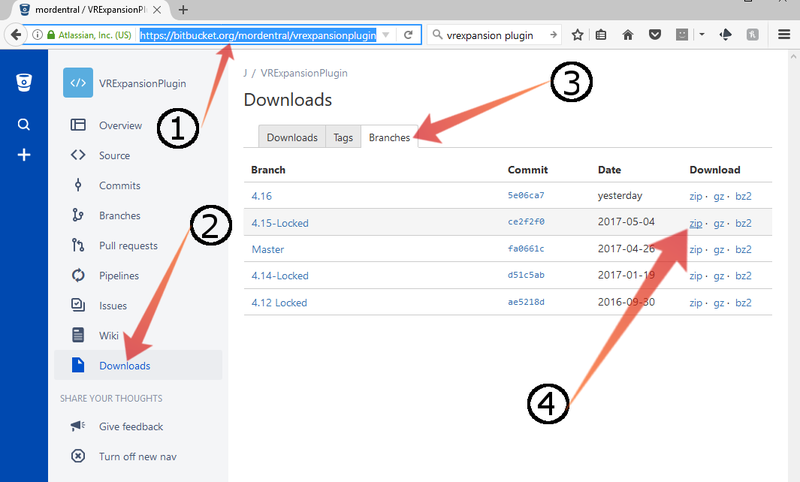 Install Visual Studio 2015 for UE4 version 4.12 to 4.19, or Visual Studio 2017 for UE4 version 4.20 or later. Visual Studio 2017 is the latest, and therefore default, version. Get it here. Then set it up to work with UE4. If you don't already have a paid Visual Studio subscription, you'll need to Join the free Visual Studio Dev Essentials program (bottom-left). Then download VS2015 update 3. This set up guide will show you how to do it. Launch the Epic Games Launcher and sign in. 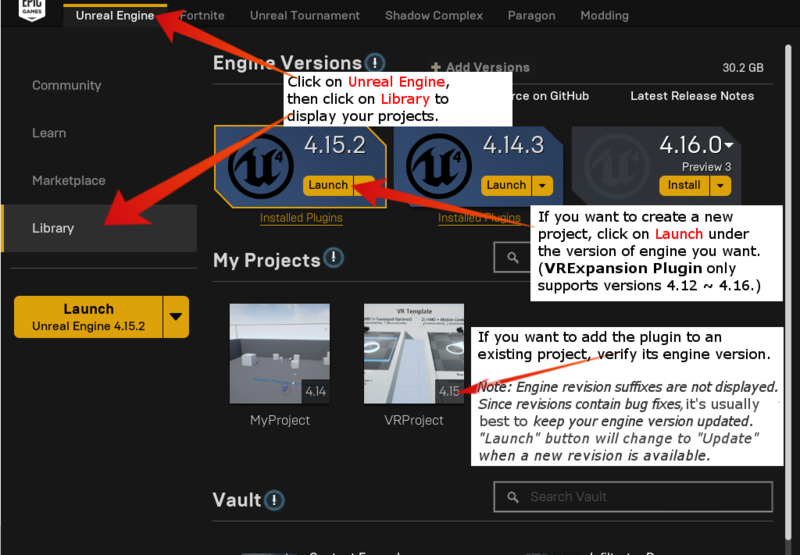 Then verify the engine version of the project you want to add the plugin to. 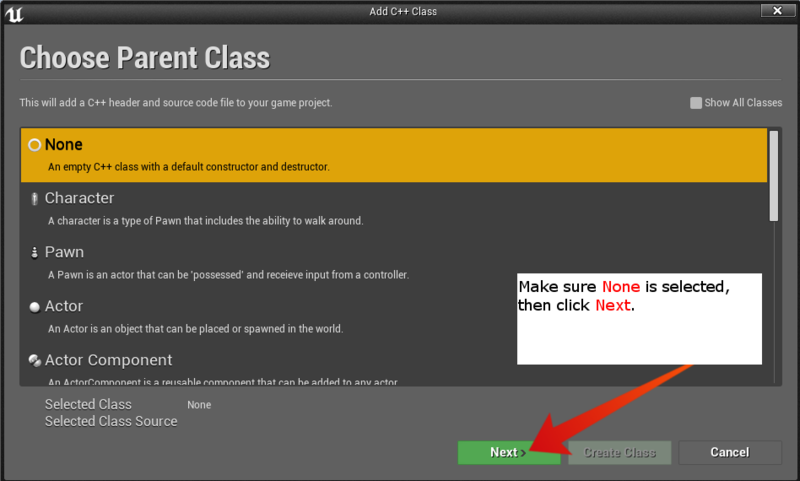 Once it's open, create a new C++ class. When it's done, save the project and close it. 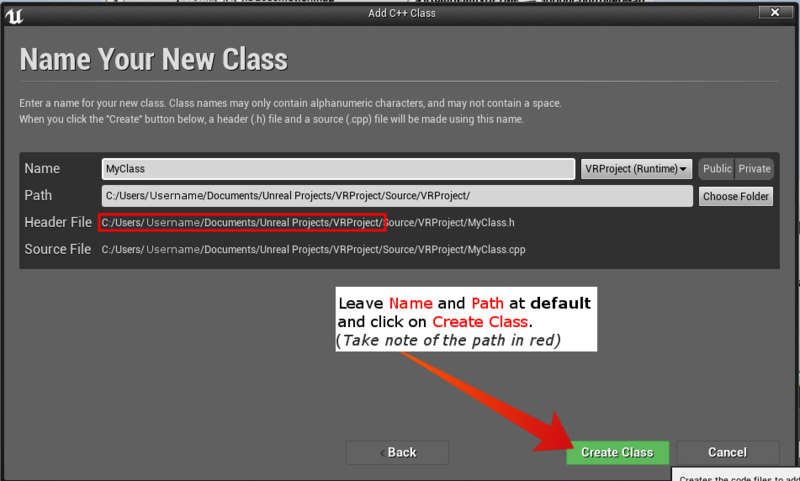 Create a Plugins folder in the project folder (i.e., part of Header File path in red in Step 3 screenshot. 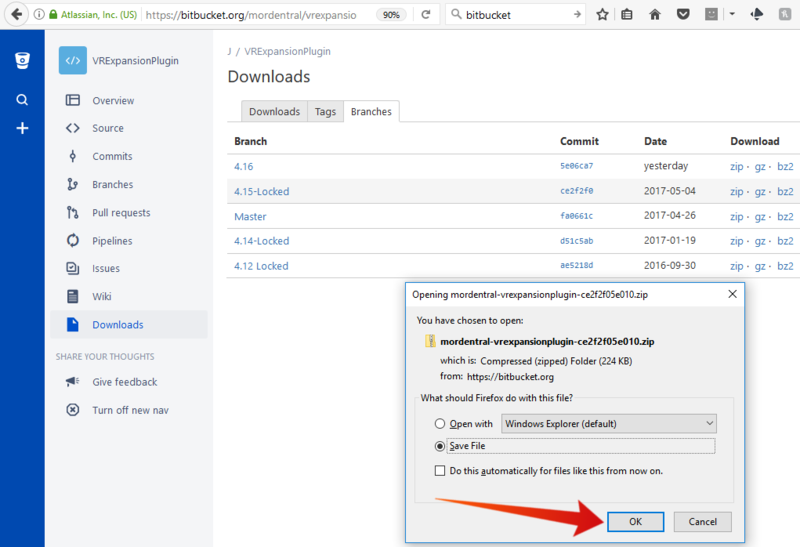 Download the zip file for the version of the plugin that is compatible with your project. This link will take you directly to the branches page. Click on "zip" for the plugin that matches your project. After clicking "zip", Save File. Extract the zip file wherever you want, with whatever software you got. Click on the main folder. 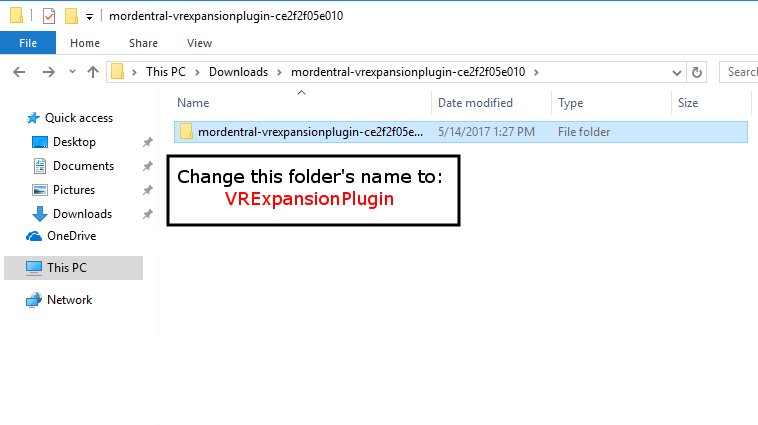 (Make sure you change the name to VRExpansionPlugin exactly). Some users of this plugin were receiving build errors caused by the conflicts with the content in the Intermediate folder. On Windows 10 I received errors about Windows SDK 8.0/8.1 not being installed. After running their respective exes, I was able to create the solution (sln). You will need an sln to continue with Step 11! Double-click the generated sln to make it open in whichever VS version you had set up in Step 1. Make sure that the build target (drop down box next to win64 in the SS) is set to Development Editor. 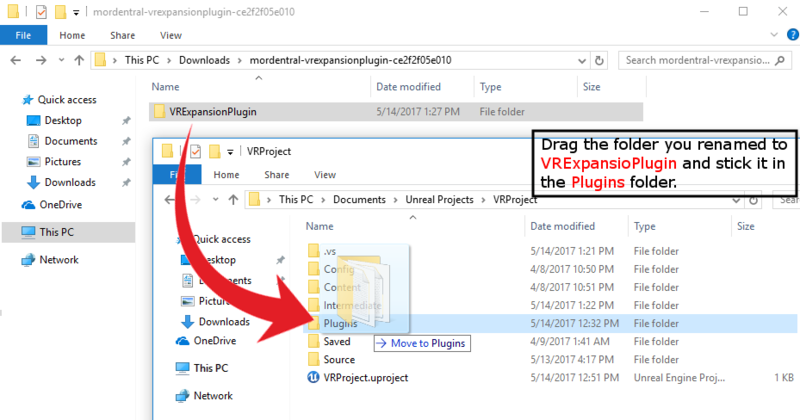 Launch the project and use the VRExpansion Plugin.